What strategies work during a substance abuse intervention? We review here. Substance abuse interventions are complex processes that are designed to make a drug addict or an alcoholic realize that they need help for their addiction. Wondering what you can expect from an alcohol or drug intervention? Typically, a group of the addict’s loved ones will gather together and confront him or her about the substance abuse. Substance abuse interventions are often last-ditch efforts to get a person into substance abuse treatment, and they must be carefully planned and executed in order to be successful. While confrontational interventions can be helpful, another approach called CRAFT (the Community Reinforcement Approach and Family Training model) can also help. Family members who use the CRAFT model learn about safety, functional analysis, contingency management, communication, and life enrichment skills. It is a longer term process that teaches family members how to use “insider” information about an addicts behaviors in a motivational way. The method has been seen to increase the chance of an addict or alcoholic entering treatment. Still, an intervention is not a simple one-time event. It is a complex process comprised of a few very important steps and stages. The basic stages of substance abuse interventions are listed below. Planning. The planning stage is one of the most important stages of substance abuse interventions. During this stage, loved ones should meet with an intervention specialist, decide who should participate in the intervention, and decide what should be said. Execution. Executing a successful substance abuse intervention takes patience and finesse. During the actual intervention, a substance abuser must be convinced to sit and listen to what each member of the group has to say. They must then make a decision to either go into a substance abuse treatment program or lose the enabling support of their loved ones. Follow up. The time following an intervention is often one of the most overlooked stages of a substance abuse intervention. If a substance abuser refuses to seek treatment, the loved ones must follow through with their consequences. This usually involves stopping their enabling behavior, such as covering for the addict when he or she is under the influence or recovering from their drug of choice, ending financing, or housing arrangements. Some people go even further and stop all communication with an active addict. As we’ve already established, planning and executing a substance abuse intervention properly takes skill. The following substance abuse intervention strategies should help you stage a successful intervention. Anyone staging an intervention is encouraged to meet with a qualified and experienced intervention specialist. This is a professional who can give you a great deal of insight into interventions, help you plan the intervention, and keep the intervention focused and calm. And then plan some more. Before your intervention, it’s imperative that you plan every detail and plan for every possibility and reaction. You should know who will participate in the intervention and what they will say, as well as where and when it will held. Never choose a person that condones or contributes to your loved one’s alcohol or drug use. Each member of the group should be someone that both respects and cares for the addict, and only wants the best for him or her. When an addict is faced with an ultimatum or consequences for not entering treatment, he or she will have more of an incentive to enter treatment. What will you do if they refuse treatment? This can be anything from removing emotional or financial support to banning them from family events until they stop their destructive behavior. Always reiterate the fact that you care for and respect the addict during an intervention. Never act judgmental or lash out in anger. This will only serve to exacerbate the situation and possibly cause the addict to become angry, obstinate, and defensive. Whether you realize it or not, your behaviors and actions could be enabling your loved one, causing them to continue to abuse drugs or alcohol. This could include giving them money when they need it, making excuses for them, or covering for them when they are under the influence. A substance abuse interventionist can help you identify these actions and behavior and help you put a stop to them. Whatever consequences that you decide upon, always follow through with them. If you vow to stop calling your loved ones boss and making excuses, then stop, even if it means your loved one may lose his or her job. This may be the hardest part of an intervention, but think of it as tough love. If your loved one is always being bailed out of jams, he or she will never learn that their substance abuse is detrimental. Make it as easy as possible for your loved one to go into a substance abuse treatment program. The easier it is, the more likely they will be to follow through with treatment. This can include making arrangements with an addiction counselor, reserving a spot in a rehab facility, and even making childcare arrangements for the time they will spend in treatment. Whether your loved one agrees to treatment or not, you may want to consider getting help for yourself. Attending counseling sessions or support group meetings can help you better understand the addiction and better prepare you for dealing with an addict. Dealing with an addiction is a difficult time for everyone, including yourself and your loved one. If your loved is ready for treatment and needs someone to talk to, give them that support. Make it clear that you care for their well being and will be there to support them through the recovery process. It’s important to learn everything you can about interventions before you stage one. An intervention specialist can be an invaluable resource during this time, and you can learn a great deal from reading books and online articles. 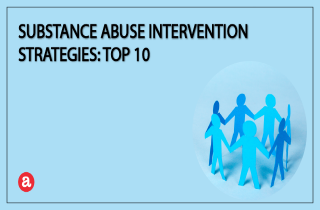 However, if you still have substance abuse intervention strategy questions, you can also leave a comment below. We look forward to addressing each one of your questions and concerns, and wish the best for you and your family during this difficult time. AIS: What is an Interventionist? AIS: What an Interventionist is not? My friends have noticed that one of our good friends is struggling with substance abuse, and we want to do what we can to help them through it. I like the advice to consult an intervention specialist. I wouldn’t want to make a mistake that could cause my friend to feel isolated. I like that you provided some basic strategies for staging a successful drug abuse intervention such as consulting an intervention specialist and asking loved ones to participate. Tackling substance abuse without proper knowledge is very difficult, that is why it is essential that we seek assistance from an expert to provide us with the proper assistance. It is also recommended that we ask relatives and other loved ones to join us in our battle to fight drug addiction. They can surely create a positive impact on the addict’s life and in his fight to eventually reform. Thanks. Thank you for talking about how it is important to remember to choose your support group from people that care for you when dealing with addiction treatment. It makes sense that doing this can help you be confident that you will be treated kindly when fighting your substance abuse. As I see it, It takes an incredible amount of will to seek help and try to get better when you are addicted to a substance. I’ve never considered the tip for someone with a loved one who has a substance us disorder to look for help for themselves. I can see why it would be helpful, however, because seeing a counselor or a therapist can really help someone know how to cope with the heart-ache that comes from having a loved-one suffer through substance abuse. I know many people who have struggled with alcoholism, and their substance use was always very harmful to the people around them.